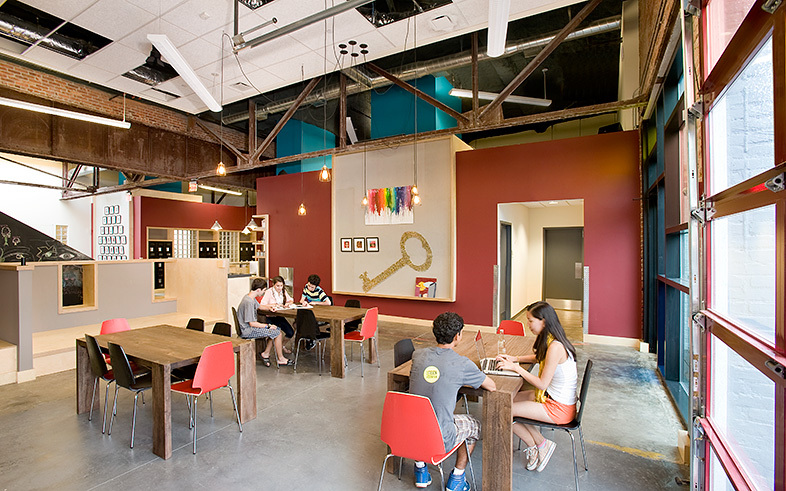 What started out as an idea scribbled on a napkin is today the 12,000 SF vibrant and sustainable Brookline Teen Center (BTC), completed by Kaplan Construction in August 2013. Brookline, Mass. is a diverse community with one of the highest ranked public school systems in the nation. But for decades, the offerings in after-school public youth programming were almost non-existent – with no dedicated youth center, YMCA, or Boys and Girls Club to be found within town limits. In 2008, Brookline High School social worker Paul Epstein set out to change that, enlisting Kaplan Construction’s help. While providing budgeting and planning for the project, Kaplan worked with teen interns and volunteers. Educating them about the construction process and providing space planning mock-ups helped both the interns and client understand the potential of the building site, a former garage. Kaplan was ultimately selected to provide construction management services for the BTC in 2012. 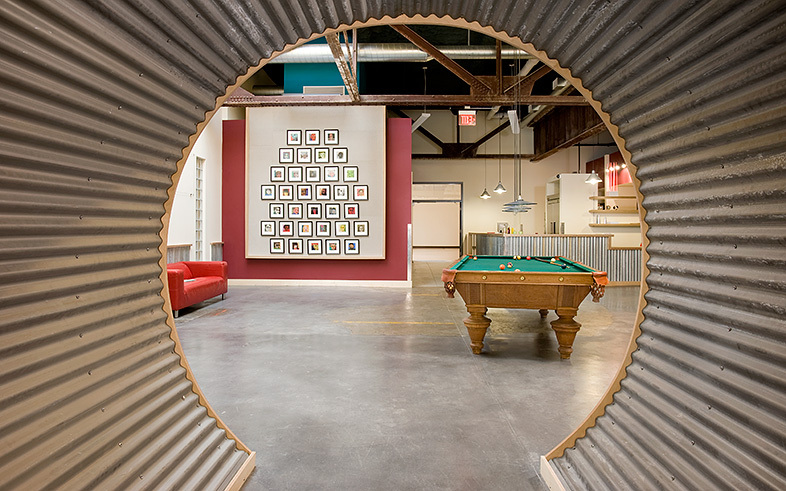 The Kaplan team renovated this former auto body garage and transformed it into a modern environment while maintaining some of the unique characteristics of the building. Today, the space features a bowling alley, gym, recording studio, lounge, outdoor patio, café, aerobics dance studio, game rooms, and study hall. The BTC features many environmentally-responsible elements including the use of sustainable building materials, water efficient practices, and a green mechanical and electrical system within a more energy-efficient exterior envelope. This project achieved LEED Silver certification in 2015. 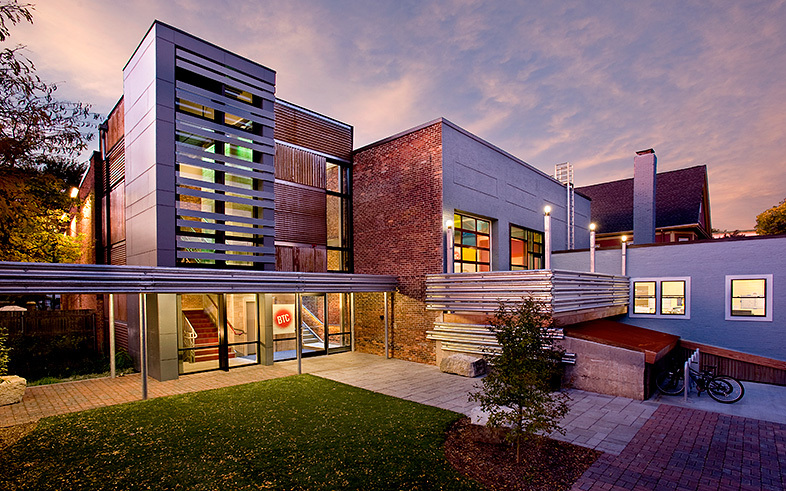 Other accolades include the Boston Society of Architect’s Award for Design Excellence, ABC Massachusetts Chapter’s Excellence in Construction Eagle Award, ABC National’s Excellence in Construction Pyramid Award, Brookline Preservation Commission’s Preservation Award for Adaptive Reuse, and AIA New England’s People’s Choice Award. Kaplan Construction is truly our partner in realizing the vision for the Brookline Teen Center. 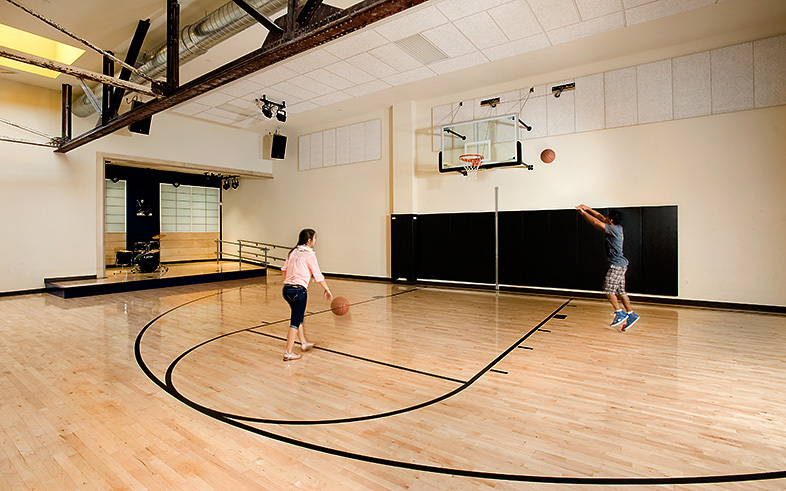 Kaplan’s deep roots in Brookline and their dedication to our community, combined with the company’s tremendous construction expertise, have helped this neighborhood come together to create a place for local youth to learn, grow, and have fun.